At Restorative and Implant Dentistry of Bayside, our experienced dental team combines advanced technology and innovative techniques to deliver healthy, long-lasting results. Our prosthodontist, Sameet S. Sheth, DDS, is committed to rebuilding and enhancing smiles the proper way, by first focusing on achieving optimal oral health and then concentrating on restorative and aesthetic therapies. Through this comprehensive process, patients can be confident they are making a meaningful investment in their dental health that can provide lasting value for years to come. In addition to dental implants and all-ceramic restorations, Dr. Sheth expertly performs a broad range of bone grafting and soft tissue procedures that can create a healthy, functional, and aesthetically-pleasing foundation for complex restorative cases. Whether you are seeking full mouth reconstruction, tooth replacement options, or periodontal care, Restorative and Implant Dentistry of Bayside can provide you with outstanding care and superior results. To learn more about the many services we offer, including sedation dentistry techniques that can relax you during treatment, we encourage you to browse through our informative website. If you would like to schedule a consultation to explore your options, please contact our office. Our experienced prosthodontist, Sameet S. Sheth, DDS, provides high-quality implant, aesthetic, and restorative dentistry that can transform the health and beauty of nearly any smile. 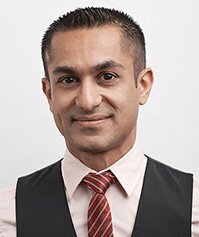 Dr. Sheth was top of his class during dental school at NYU and went on to complete six-years of post-graduate study to achieve his certification in prosthodontics, implant surgical therapy, and maxillofacial prosthetics. This specialized training focuses on the reconstruction and aesthetic restoration of damaged and/or missing teeth, in addition to procedures that improve the structure and condition of the jawbone. From porcelain veneers that beautifully conceal a wide range of dental imperfections to dental implants that replace missing teeth with incredibly realistic results, Dr. Sheth is dedicated to offering his patients the most innovative and effective treatment options available. 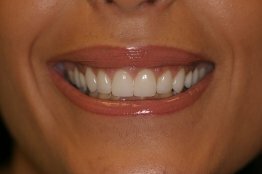 Restorative dentistry techniques can rebuild teeth damaged by traumatic injury or decay, as well as improve dental health. Dr. Sheth offers a wide range of restorative options that can deliver durable, aesthetically pleasing results. 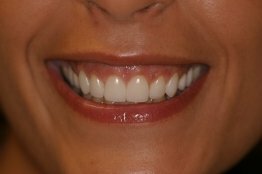 Dental implants are a versatile and long-lasting option for the natural-looking replacement of missing teeth. Dr. Sheth offers many types of implants and implant restorations, concomitantly with procedures to restore jawbone health and structure.